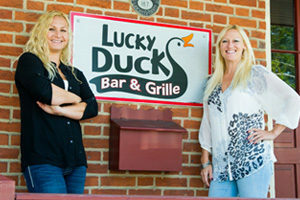 The Lucky Ducks menu features burgers, munchies, entrees, pasta, sandwiches and salads. Leading the way are four of our restaurant’s specialties — fish tacos, the Trifecta sandwich, chicken chili and jumbo lump crab cakes. Our offerings stretch beyond a simple lunch or dinner. We have a large upstairs dining room to host parties, wedding receptions and rehearsal dinners. Our outside deck provides bar options and fresh-air dining. 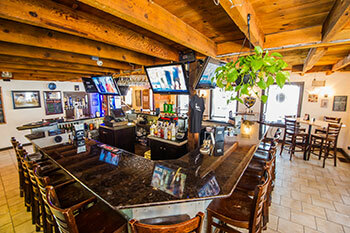 The large bar inside is a great place for happy hour and live music on Friday nights. 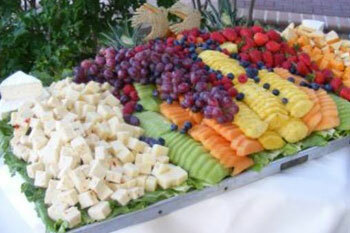 And if you can’t make it in, Lucky Ducks comes to you with catering options. We are Open at our Second Location in Hershey! Check Out Our Video of the Inside of the Hershey restaurant and bar! Conveniently Located a Half Mile from Hershey Attractions beside the Cocoaplex Theaters. 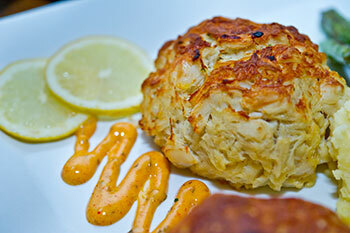 Visit and Dine With Us at the Second Oldest Building in Elizabethtown.